The month of December is full of fun filled, spirit filled, and memory making family activities at New Day Christian Church. We would love to have you join us for any or all of these activities. 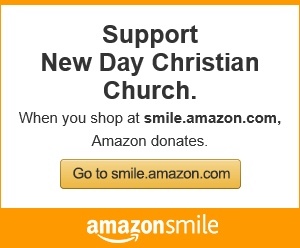 New Day Christian Church of Las Vegas is located at 2651 Crimson Canyon near Tenaya and Cheyenne. You can sign up at the registration tables at the back of the church (Sunday mornings at 9:30am) or call 702-658-1124 to register. Merry Christmas, hope to see you there! GINGERBREAD HOUSE PARTY: Come join us for our annual Gingerbread house party. Saturday December 5th at 6:00pm. Show off your imagination and decorating skills on your house! There will also be an ugly Christmas sweater contest. Did through your closet and find that ugly sweater Aunt Betsy gave you:) This will be a pot luck affair. There will be sign-up sheets on the back table. Bring pizza, chicken wings, your favorite dessert or for you health conscious peeps a veggie tray will be just fine!! CHRISTMAS LUNCHEON: We will be having our Christmas luncheon following service on Sunday December 20th. We will have sign-up sheets for food needs on the back table. Show off your culinary skills and join your church family for a delicious fun time. CHRISTMAS EVE COMMUNION SERVICE: Join us for Christmas Eve service on Thursday December 24th at 6:00pm. Come and worship our Lord and Savior, Jesus Christ.